It was on this day that one of the worst maritime disasters in the country’s history occurred when the Mississippi river packet Sultana exploded near Memphis, Tennessee. 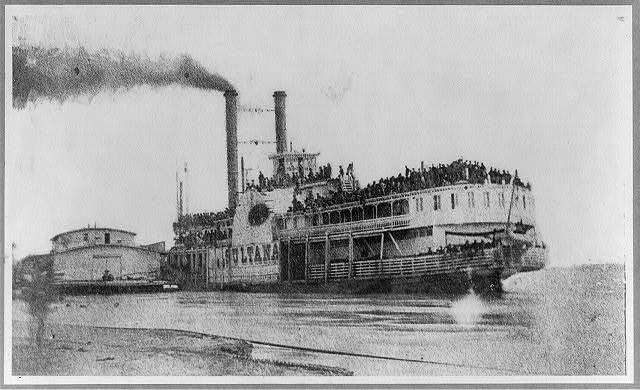 The Sultana left from St. Louis on a routine trip, picking up a load of paroled union prisoners at Vicksburg, Mississippi before heading back north. Despite the fact that there were two other steamboats standing by, 1,966 men and 36 officers were crowded onto the Sultana. They joined 100 other passengers and 85 crew members aboard a boat that was legally chartered to carry 375 souls. In the early hours of the morning the boat’s boiler exploded, killing scores of men instantly. Almost immediately the ship was in flames, and those aboard began to jump into the great river to escape certain death. Throughout the day of April 26 the boat had travelled close to shore to avoid the current, but in the middle of the night the Sultana was in the middle of the river. Those who jumped from the flames still thought shore was only yards away, but in reality the safety of land was as much as four miles distant. Most of the dead were never found. Bodies were found as far south as Vicksburg, the city from which the boat had departed. Captain Frederick Speed, an unfortunate moniker, if ever there were one, was convicted of overloading the boat, but Secretary of War Edwin Stanton overturned the conviction. The official death count was listed at 1,547 although the exact number who lost their lives on that dark night will never be known. Even this number puts the Sultana explosion ahead of the 1,517 souls who lost their lives on the Titanic decades later. Despite the carnage, the horror of the event was largely obscured by the coverage of President Lincoln’s assassination and today most people have never heard of the Sultana. 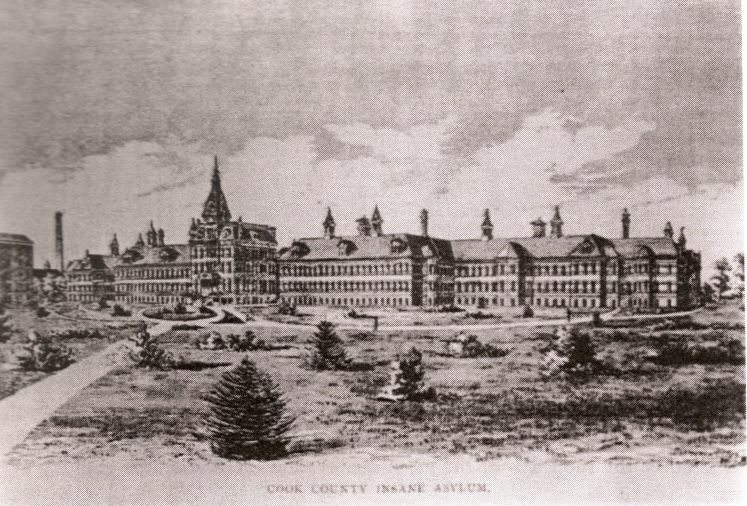 As the two men strolled, they passed 30 patients or so, most of them with “their wrists bound by leather ringlets lined with chamois-skin to a strong leather belt securely locked around the waist.” They passed a man named Jake who, for the seven years before Dr. Spray took over, had been chained to the floor in solitary confinement. “I find that he is gradually improving,” the doctor said. During the night of April 26, 1892 fire broke out on the top floor of the Athenaeum Building on Van Buren Street (located on the south side of Van Buren about halfway between Michigan Avenue and Wabash). 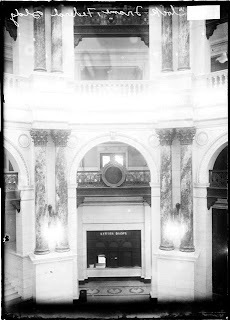 The Athenaeum had been in existence since at least 1874, one of its principal sponsors being Ferdinand Peck, the man whose leadership got Adler and Sullivan-designed Auditorium Building constructed. 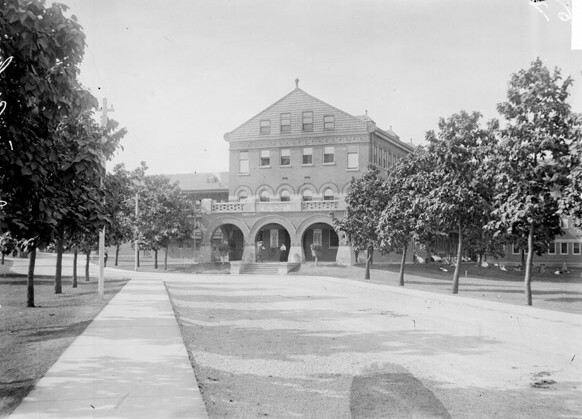 According to a journal at the time it was in this arts center that “a young man or woman may study foreign languages, elocution, history or science. He may in some sense enter good society, and here he will form life-long acquaintances.” The building was finished in 1886 and remodeled again in 1891. Unfortunately on that April evening the exhibition of the Society of Artists was just beginning with judges still arriving in the city. There were 89 paintings on display and five works of sculpture along with a number of other submissions in a back room that did not qualify for the final round of judging. The fire was first noticed when at 9 o’clock “a man standing in front of the New Jerusalem Temple, across the way from the Athenaeum, on Van Buren street, heard an explosion and found himself in the midst of a shower of glass.” Almost immediately flames burst through the northeast corner of the seven-story building. The building was packed at the time with 600 students and teachers in various classes when the fire broke out. On the fifth floor, where the Chicago Law College was located, one law class had 175 students; another 40. A drawing class on the same floor had 75 students in attendance. One floor below the original working drawings for the buildings of the World’s Columbian Exhibition were on display. Fortunately, the students escaped and the drawings received only minor water damage. Mr. Charles Tyson Yerkes, Dear Sir: The gallery of the Chicago Society of Artists and all the paintings competing for the Yerkes prizes are entirely consumed by fire; the loss is total, no insurance. Inclosed please find your check for $500. In returning it I beg to thank you again for your generosity. Yours very truly, Wm. W. Vernon, Financial Secretary, C. S. A. Negotiations reached their final stage in the attempt to bring the North Shore electric trains directly into the Loop. It was expected that the electric lines would use the tracks of the Chicago, Milwaukee, and St. Paul Railroad between Foster Avenue in Evanston and Wilson Avenue in the city. The advantage of the proposal would be that passengers on the North Shore would no longer have to transfer at Davis or Church Streets in Evanston in order to complete their ride into the center of Chicago. 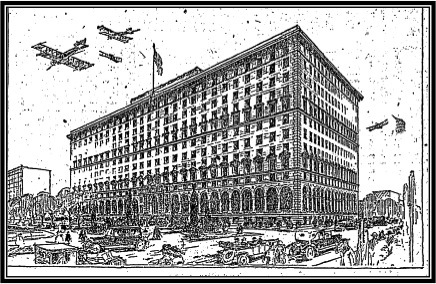 It was announced on this date that the plans had been completed and the financial arrangements nearly in place for the construction of the Drake Hotel where Oak Street met the newly extended Lake Shore Drive and Michigan Avenue. The hotel would be 12 stories high with a 400 foot frontage on Lake Shore Drive with an unobstructed lake view. Containing nearly 800 rooms, many arranged in suites and apartments, it would be constructed for between $3,500,000 and $4,000,000 and “cater to the most exacting clientele.” Operated by the Drake Hotel Company, the owners of the Blackstone on Michigan Avenue about a mile to the south, the plans were drawn by the firm of Marshall & Fox. It was hoped the hotel would be ready for the Republican convention in the summer of 1920. 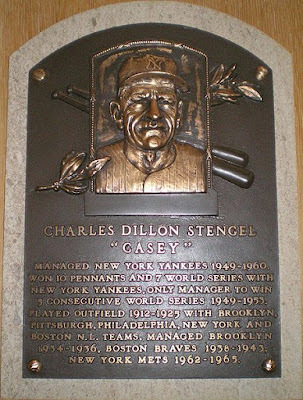 Casey Stengel, who had missed training camp, managed a triple in the sixth inning, scoring the three Pirates who were on base. Stengel scored when the Cubs shortstop, Charley Hollocher, fumbled a grounder just long enough to miss the play on Stengel at the plate. The Cubs were still in the game despite squandering a scoring opportunity in the bottom of the sixth as Max Carey, the Pirates center fielder, made a great running catch for the third out, leaving the bases loaded. Then came the eighth inning. 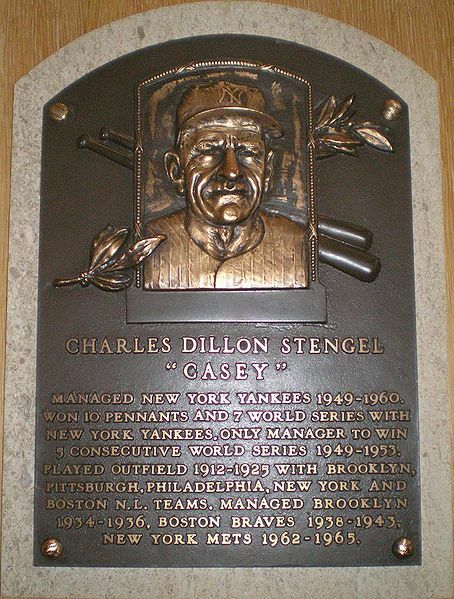 The Tribune reported, “Just what happened in the eighth was hard to understand, but it was something quite disgusting.” Casey Stengel led off with a single and stole second base. The next Pirate hitter walked, and the Pirate second baseman, George Cutshaw, laced a drive toward right field. The Cubs first baseman, Fred Merkle, dove for the ball, narrowly missing it. At this point the wheels came off. Harry Weaver, the Cubs relief pitcher, failed to cover first base. Charlie Pick, the second baseman, somehow grabbed the ball that Merkle had missed, firing it toward first base in time to get Cutshaw easily. The Cubs went on to a 75-65 record, finishing third. The Tribune announced in this edition that as of April 6 sixteen divisions of American fighting men had sailed for home. It was estimated that by September 1 of 1919 only 20,000 members of the Allied Expeditionary Force would still be in Europe. When the armistice was signed there were only three ports available in France that were capable of handling the huge volume of men and supplies that were about to come through them. These were St. Nazaire, Brest, and Bordeaux. Shelters, bathing stations, and delousing stations had to be established at each port along with the facilities that would enable 2,000,000 men to receive medical examinations and provide care for the wounded and the sick. The operation had become so efficient that the unloading and loading of a ship in one of the French ports was completed in just over two days, a third of the time it took to turn the same ship around in New York City. 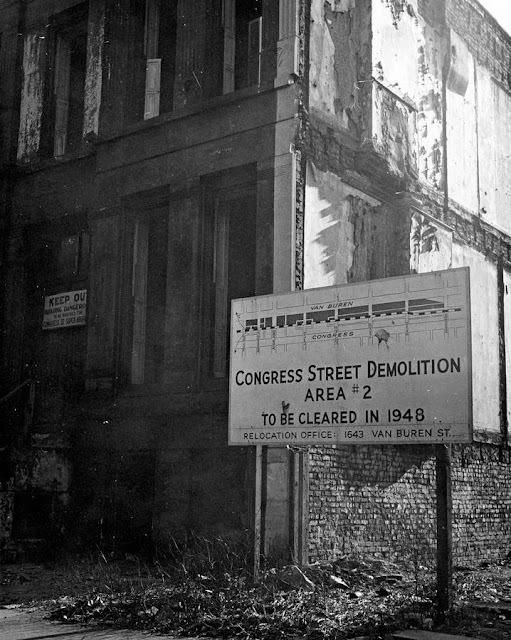 A new plan was announced on this day for the development of Congress Street. The plan called for the widening, without grade separations, of the street at an estimated cost of $39,000,000. The previously proposed plan for a depressed highway was rejected by the west side committee of the Chicago Plan commission, and double deck express highways were proposed on Polk and Monroe streets instead. The proposal envisioned that Congress Street would be 126 feet wide from Michigan Avenue to Robey Street, with the width increasing by 20 feet between Robey and Central. East of Robey the plan called for two forty-foot roadbeds separated by a six-foot median, with eight-foot sidewalks and eight feet of parkway between the curb and the sidewalks. One of the positive aspects of the plan was that cutting through the center of Harrison Street to the center of Van Buren would create more street frontage with as many as 30 new business corners. The plan was an ambitious one that was in keeping with the immense scope and vision of the original Chicago Plan of 1909. But the Depression and World War II intervened, and it wasn’t until 1948 that work began in earnest on the project that would eventually see the Congress and Eisenhower Expressways completed in the late 1950’s. On this date Claude A. Welles, the general manager of the Merchandise Mart, announced that 82 percent of the 4,000,000 square foot building had been leased and that by May 3 about 200 tenants would have moved into the new building. Many of the tenants were eastern manufacturers who recognized the “great central market” that Chicago had become. “The Merchandise Mart embodies the modern idea of a concentrated market, that of bringing the buyer to market instead of attempting to take the market to the buyer, via trunks and sample cases,” said Welles. The main restaurant in the new building was built to serve 10,000 people a day in its five divisions. On the same day that the flag was lowered at the post office Bell & Howell announced a new line of home movie cameras that required no manual settings and used an advanced 8 mm. film that the Eastman Kodak company would manufacture. There would be two models of the new home movie camera, priced from $160 to $220. 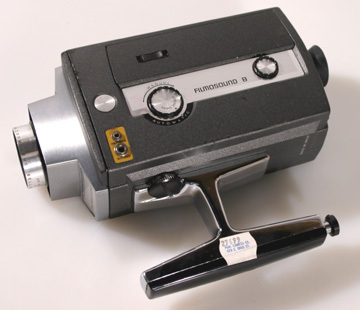 As part of the announcement Bell & Howell unveiled a new movie projector that would produce a screen image twice as bright as that of the conventional 8 mm. projector. It would be priced around $190. Eastman Kodak said that its new film, to be called Super 8 Kodachrome II, would come in a cartridge so that it would be impossible to double expose of fog the film.